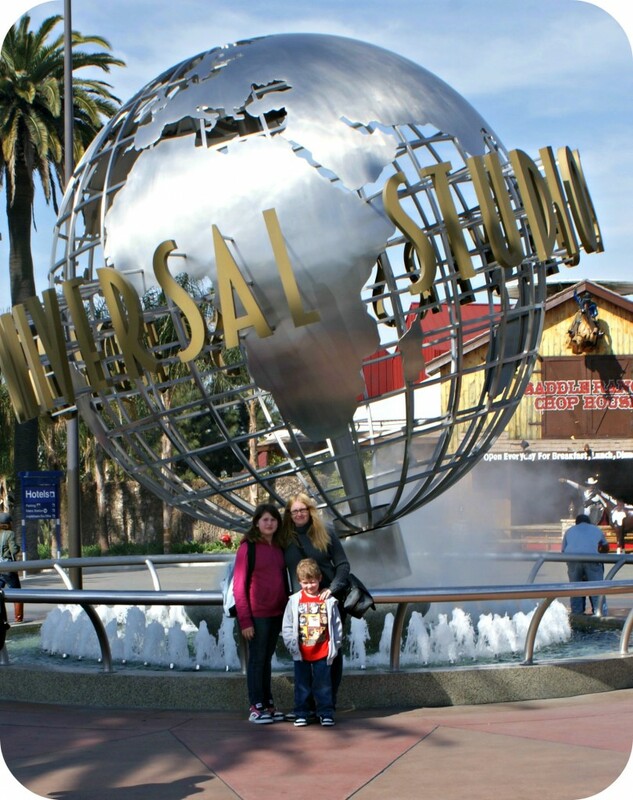 Last year we went to Universal Studios Hollywood in Universal City/Hollywood CA and had SUCH a fun time. This amusement park isn’t just your regular theme park, it’s full of action and adventure! My 7 year old said it was definitely one of his favorite places to go, he always asks when we can go back! I was bummed when I thought I lost the camera card in which all the photos were on, but I was so happy when I was moving stuff in my office to have found it! 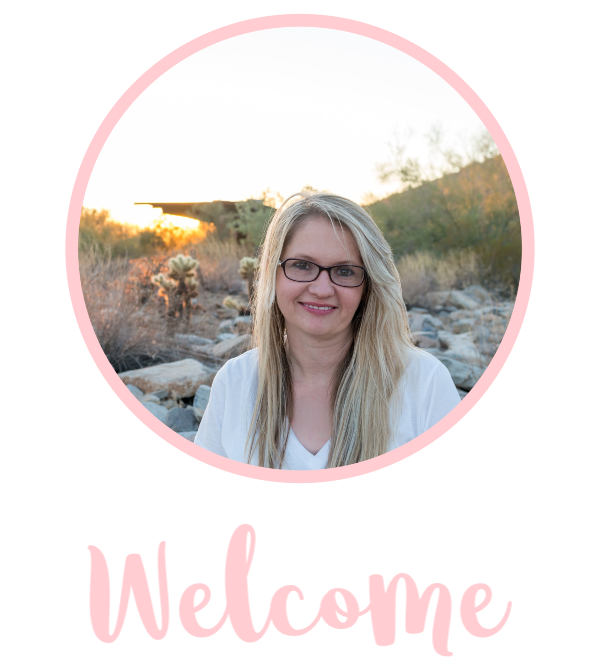 Here is our experience! The back stage tram tour was definitely a highlight (and it’s part of your admission, so it’s a must do). 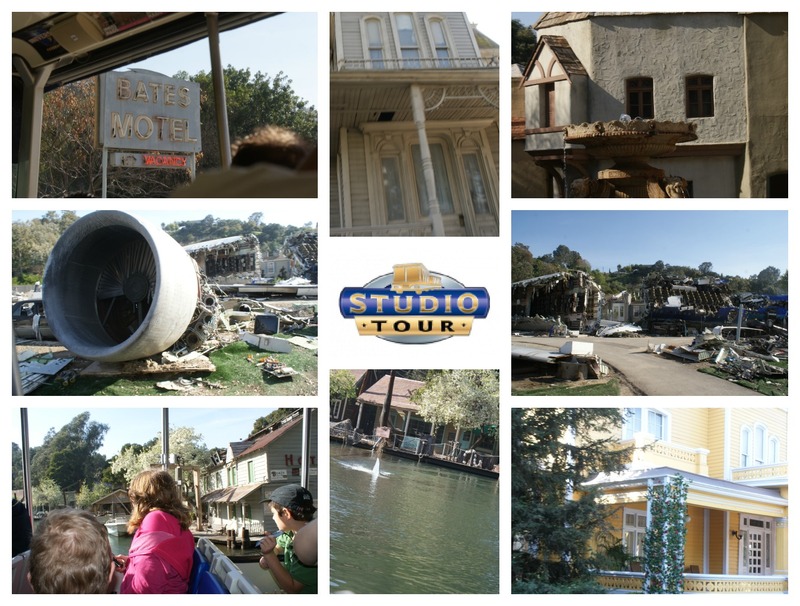 You get to see the lots where they filmed such films as Psycho, Jaws and War of the Worlds. The War of the Worlds was pretty cool as they had the large airplane right next to the tour. 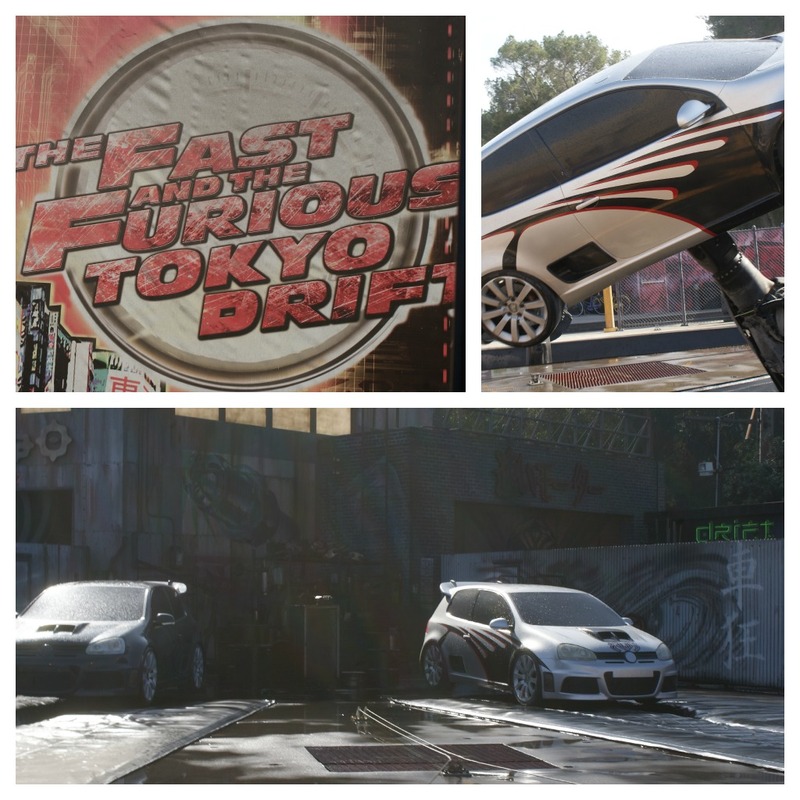 You can also see Wysteria lane from Desperate Housewives and one of my favorites, Fast and Furious Tokyo drift! It’s pretty cool, the cars dance! Also on the tour was the King Kong 3D experience (I was unable to get good photos). You stay seated in your tram but it’s a digital 3D movie that plays around you. It was pretty awesome! 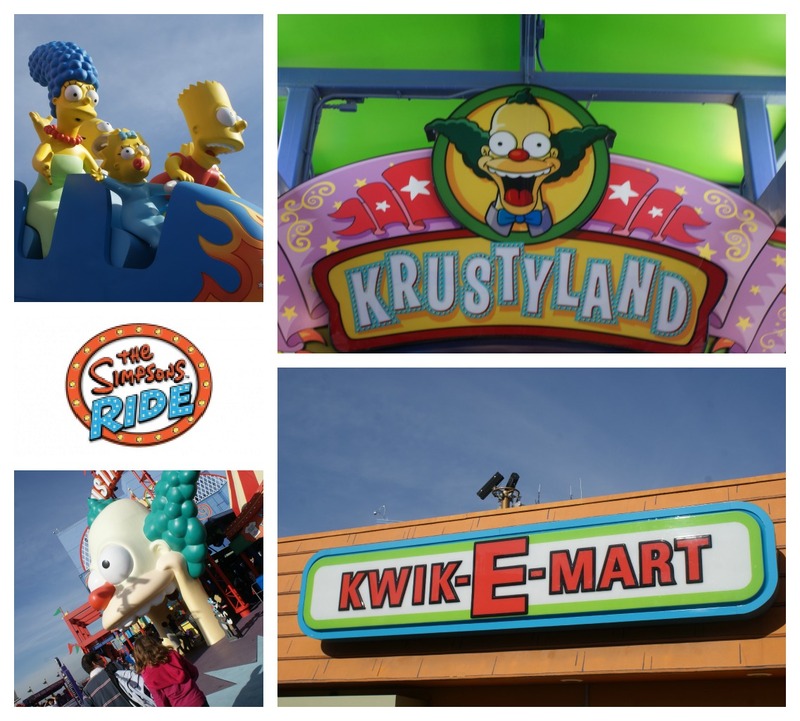 The Simpsons ride is a ride full of fun and lots of laughs. It is a digital screen but you are in a hydraulic ride so you are constantly moving and having fun! Plus, it’s pretty cool that they make it look just like you are in the movie! Another ride in our top 3 was the Jurassic Park 3D. It’s a thrilling water ride that takes you through the dinosaurs including a giant T Rex and this ride drops you on an 85 foot drop. Sounds scary right? I didn’t know the drop was that big until we were looking straight down the drop! It was so much fun though! Shrek 4D is a fun one with kids. It’s a movie where the excitement comes right at you and who doesn’t love a little Shrek and Donkey? The Special Effects Stage was pretty awesome and it was a great way to rest after walking around. We learned about how they make all these movies look so cool! If you go, sit front and center as they call for volunteers! The Transformers 3D Ride looks pretty awesome, I’m bummed it wasn’t open when we went! I can’t wait to go back and see it! http://www.universalstudioshollywood.com/tickets/type/most-popular/ Right now they have a deal for buy one day, get one free! So make plans for being there two days so you can do everything! Favs: I didn’t think the lines were long and really this is definitely a more budget friendly theme park in Southern California. I loved that there were so many different thrills that could be found through out the park! 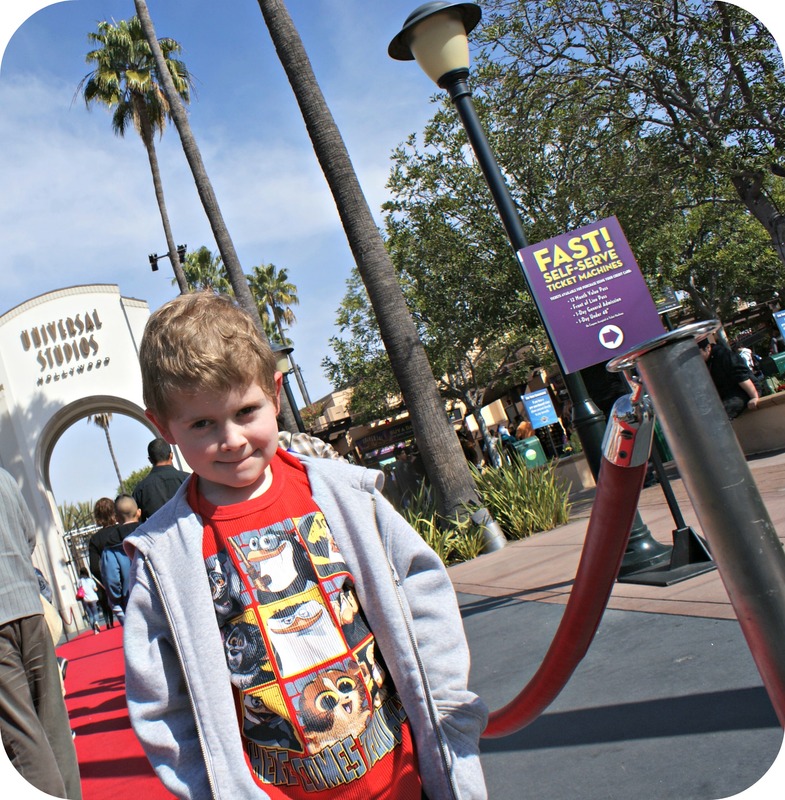 The only kind of bummer with Universal Studios is it’s geared more towards older kids and adults. Now they do have things like the Adventures of Curious George and character meet and greets but if you are planning a vacation out to CA, wait until the kids are at least 7 and up. Disclosure: We received media passes to check out the park, our parking, food, accommodations were our own. No monetary compensation was received for the review and all opinions expressed in this post are 100% mine.